Unlike blood or breath tests, field sobriety tests are entirely voluntary. Unfortunately, most people don’t know this, and comply with the officer’s requests to perform these subjective tests. If this applies to your situation, you need an attorney who can challenge your results. Police in Alabama routinely use field exercises that were rejected after exhaustive studies under expensive federal grants. These include: THE ALPHABET TEST; THE FINGER COUNT TEST; COUNTING BACKWARDS; TOUCHING FINGER TO NOSE TEST; MODIFIED BALANCE TEST – ESTIMATE 30 SECONDS WITH EYE CLOSED AND HEAD TILTED BACK. These field sobriety tests are not scientific or reliable. In almost every case in Alabama, these tests are conducted in a manner that is not approved by the National Highway Traffic Safety Administration (NHTSA) by police officers who do not know how to properly administer these exercises. Proper cross examination of the arresting officer can demonstrate that these exercises do not predict impairment for the purposes of driving a motor vehicle. A scientist hired by the National Highway Traffic Safety Administration has admitted that the field tests do not measure impairment. She has also admitted that they are unreliable unless they are administered in strict compliance with STANDARDIZED TESTING PROCEDURES. A recent published scientific study evaluated 100 videotapes of police conducting the horizontal gaze nystagmus (eye) test, and found that each and every officer performed the test wrong. Cross-examination of police officers with their very own training manuals routinely demonstrates their lack of knowledge and skill. Experienced DUI trial lawyers will file Pre-Trial Motions challenging the use of this unreliable and prejudicial evidence and limiting the ability of the prosecutor to create an “aura of science” or even call them “tests”. After a DUI charge, the key is to determine whether or not the field sobriety tests are valid evidence. 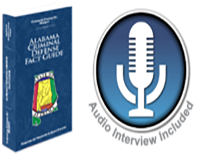 If you were asked to take a field sobriety test after being pulled over and want more information on your rights and how you may fight these charges, speak with an Alabama DUI lawyer. For a free case evaluation, complete the online form on this page now.